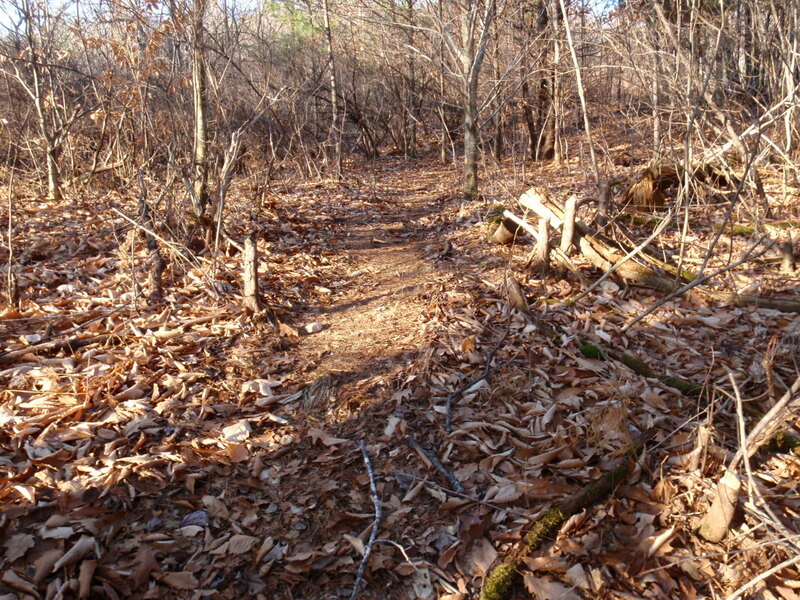 We took a walk, in late fall, along the Blackwater River across the road. 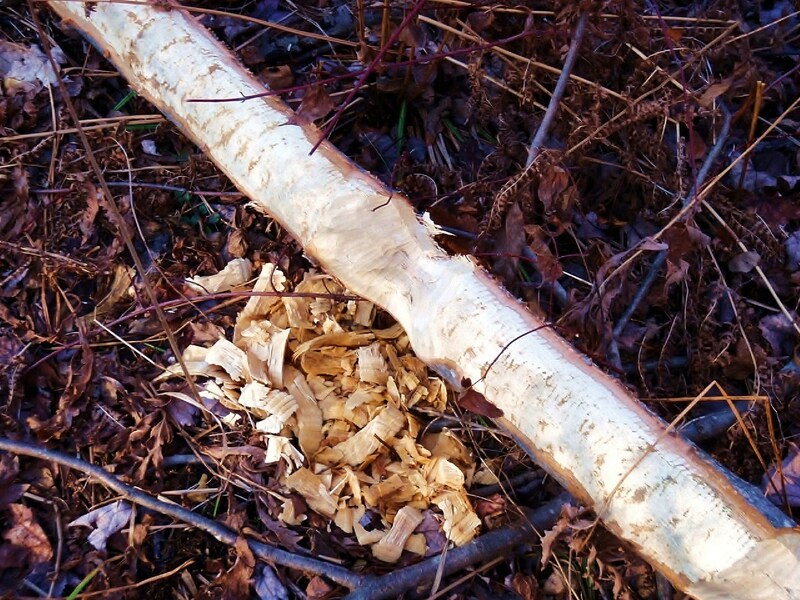 Close to home we found amazing evidence of beaver activity. The quantity of wood cut and of beaver sign was just great. 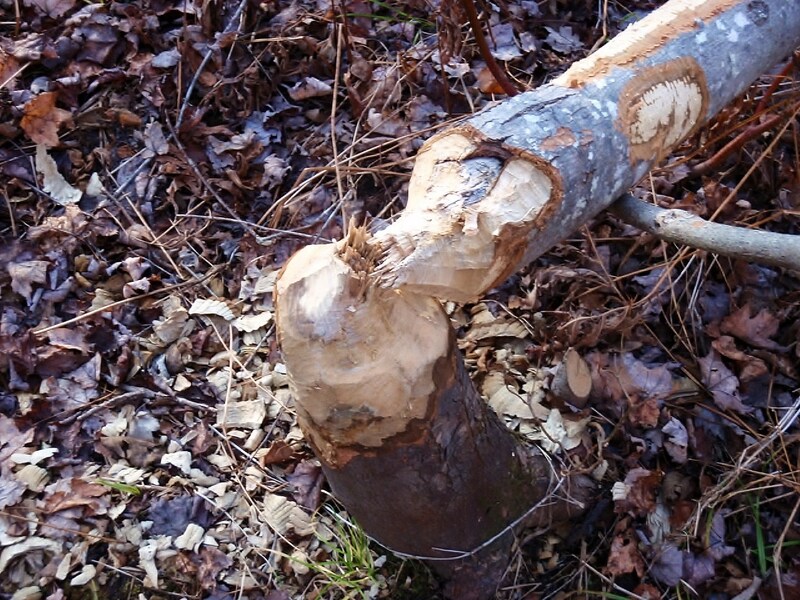 The first three photos are of trees that the beaver had cut, trimmed and abandoned for the time being. Below is a photograph of something of which I had no previous knowledge: beaver and/or muskrat escape holes. 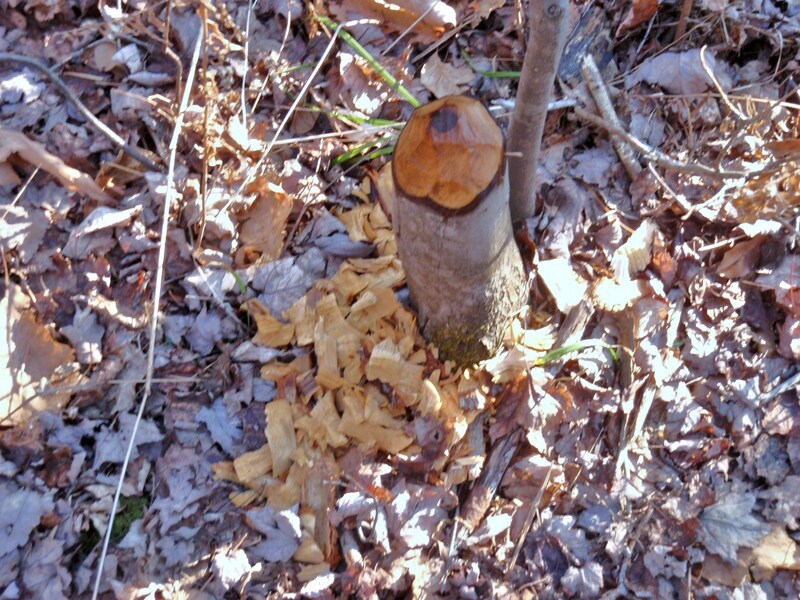 Among the wood debris the beaver had left behind in the woods was this hole in the ground. There was water in the bottom of the hole. 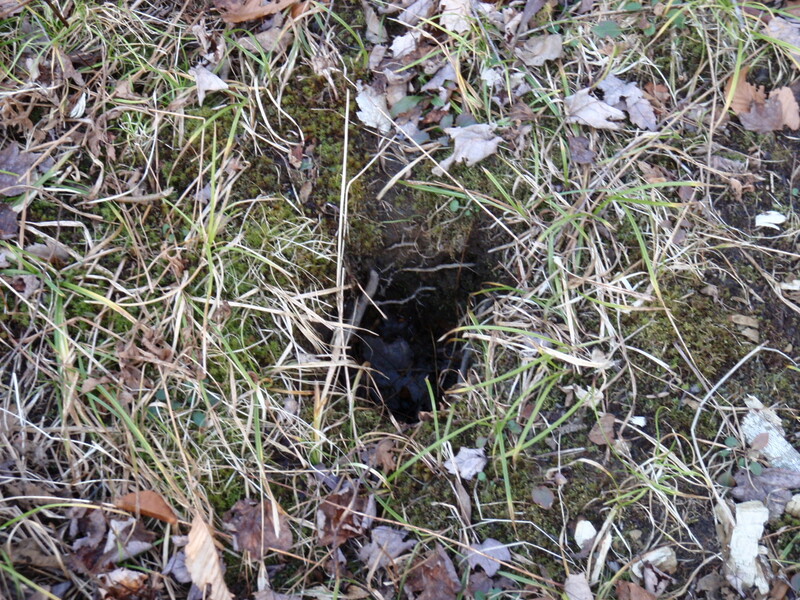 Beavers or muskrats use holes like this if they are caught on land. They can jump down the hole and escape to the river even though it is quite a distance away. In the photo above, you see what appears to be a road. My back is to the river here. I pivoted and took the photograph below, where the road ends in a slide into the river. 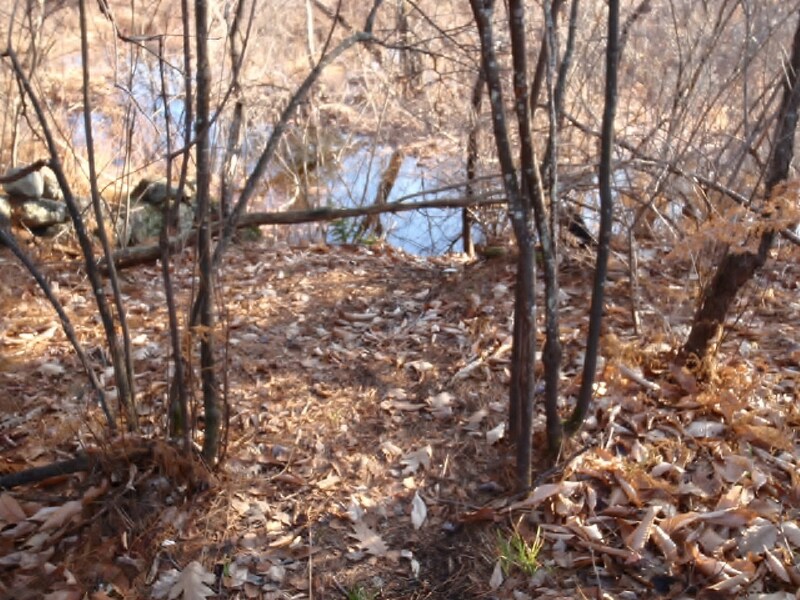 This is a beaver road that they use to drag their trees and limbs to the river and then float them to their dam. I saw the huge dam they had built but I couldn't photograph it well enough to illustrate it here. At some point I know we will return and perhaps I'll get a good shot then.